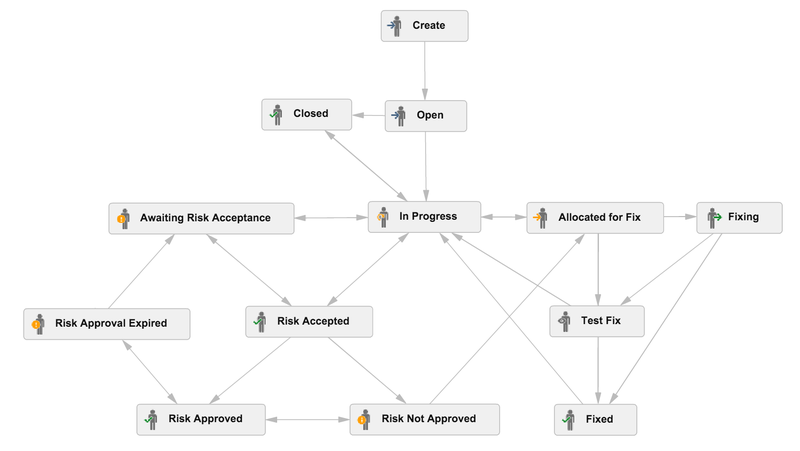 As an improvement of the workflow I showed at JIRA Workflows for handing AppSec RISKS here is a version that adds a 'Fixing' state between 'Allocated for Fix' and ‘Test Fix’. The reason for this change, was to take into account projects (or components) that have a large number of open issues that want to be fixed (vs risks to be accepted). 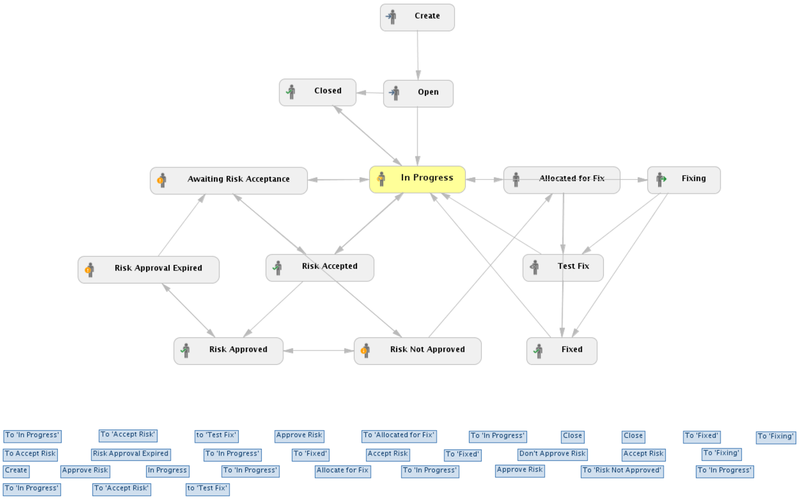 If you want the XML of this workflow, you can get it from here.